Meet Carolyn Artman, a well-traveled, distinguished PR practitioner and our new account director. She loves a strong cup of coffee, history and is as Detroit-centric as they come. Learn more about Carolyn! What do you love about MCCI? I love working in downtown Detroit with a diverse team of creative communicators who help each other and our clients succeed. I also love that our office is in the historic Murphy Telegraph building on Congress and Shelby. These two connected structures were built 1903 and 1913 respectively, and our building is also home to the iconic London Chop House. From our office I can also see the Detroit Foundation Hotel, the Detroit River, Canada and the 211 W. Fort Building where I worked for the Detroit Metro Convention & Visitors Bureau for four years. Explain your role as a part of the MCCI family. I use my strategic public relations skills to help lead accounts for a variety of clients from health care and automotive to higher education and the law. From strategic planning to media relations, writing and editing, to helping with customer service issues, I work alongside a talented team of professionals. Serving clients is the foundation of what we all do. History, arts, culture and travel are my passions. I enjoy movies and watching art films at Royal Oak’s Main Art Theatre and the Detroit Film Theatre. My most recent trip was to Austin, Texas for a PR conference, and I stayed a few extra days to explore the city and visit friends in Houston. 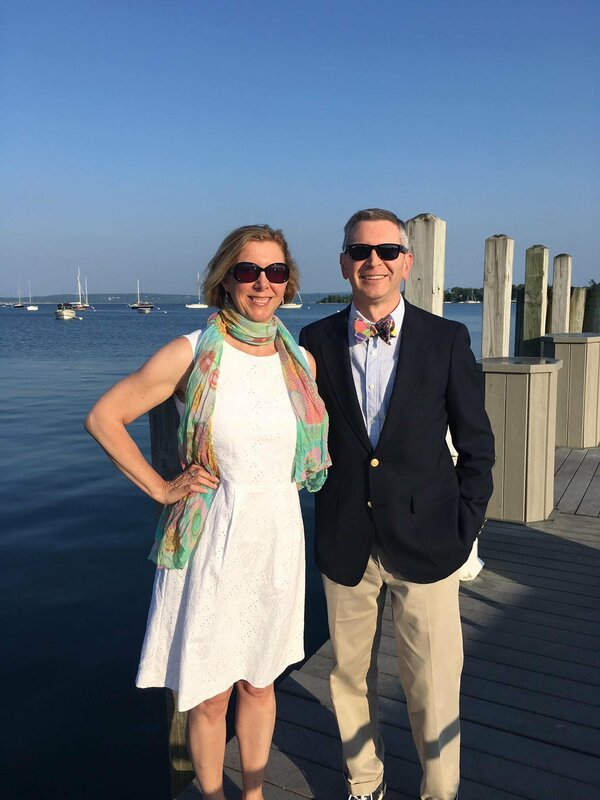 My husband (Jeff Samoray) and I also like visiting northern Michigan–especially Old Mission Peninsula, Beulah, Petoskey/Harbor Springs, and Mackinac Island where I lived and led PR for seven years at Mackinac State Historic Parks. And I love museums–especially our own DIA! Any special morning routine you have? First I make a strong cup of coffee and eat breakfast while scanning local and national news on my phone. Then I usually listen to “Morning Edition” on WDET, Detroit’s NPR station. While driving to work, I channel surf between news stations and CBC Music (Canadian Broadcasting Corp.) so I’m informed and entertained.